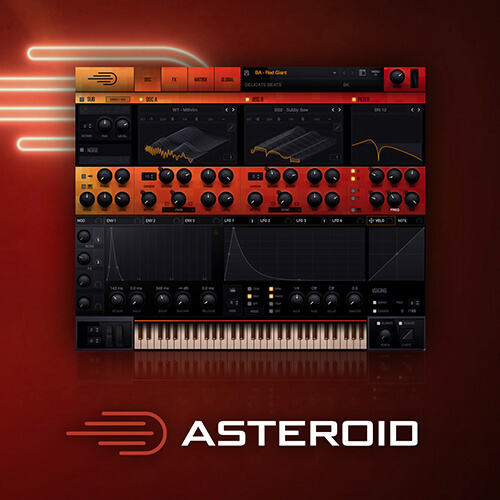 Asteroid is a analog-sounding , vintage sound pack for Xfer Serum. Inspired by 80’s sci-fi, old school horror TV shows and movies, these presets will automatically infuse these much needed textures and vibes into your beats. Dirty basses and growls, lush pads, retro bells and complex effects. The pack was also designed to be ready for more modern styles inspired by retro synths such trap and nu disco. The pack also comes with a funky, retro and colourful skin, up to Delicate Beats’ high quality staple.